Conway alum Anne Capra has been mentoring students in Conway’s studio since 2014. Anne has fifteen years of experience as an environmental and land use planner, focusing on environmental protection and land use management with an emphasis on water quality restoration. 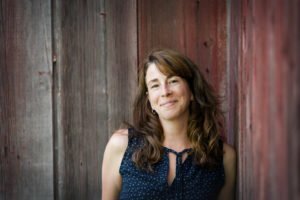 Formerly a Principal Planner with the Pioneer Valley Planning Commission, she is now the Conservation Administrator/ Planner for South Hadley, and a planner with Conservation Works. She is also a farmer, raising grass-fed Belted Galloway beef cows and pastured chickens at her Wyoming Valley Farm in Ashfield, Massachusetts. Anne is part-time faculty in the winter planning term, working with students during studios and critiquing weekly presentations.